Really getting into the swing of NYC. 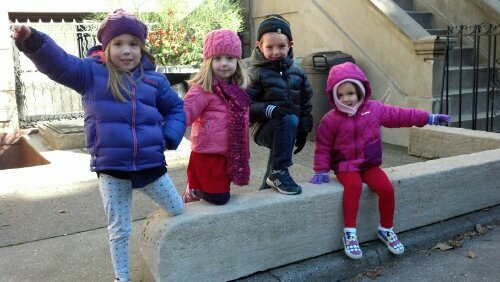 This morning we took the subway from Brooklyn into the West Village, then hung out in a playground ’til we couldn’t take the cold anymore. Yellow cabbed it back to Park Slope after a tasty lunch. Did you know that New York state law prohibits restaurants from serving alcohol before noon on Sundays? Who knew. 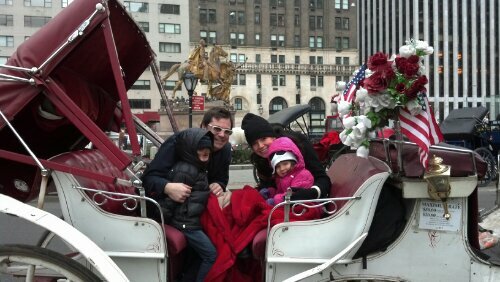 A Central Park carriage ride is something we all have wanted to do. This morning we split into two groups as we checked this one off the list. This is the Becca-Henry-Jesse-Tim carriage. And it’s snowing in NYC. The Eitings and Frys are re-united in Brooklyn for the new year. 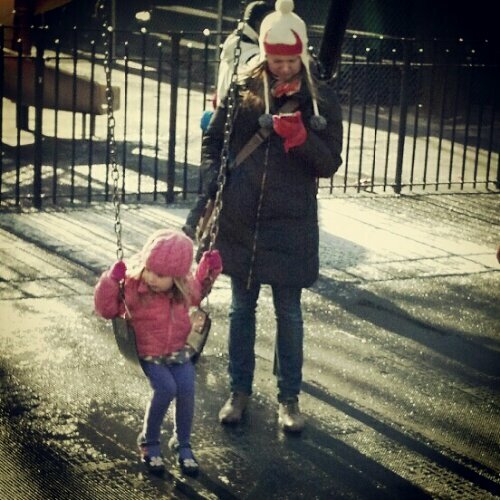 We spent our first morning walking around Park Slope and playing in Prospect Park. Feels great to be hanging out again. 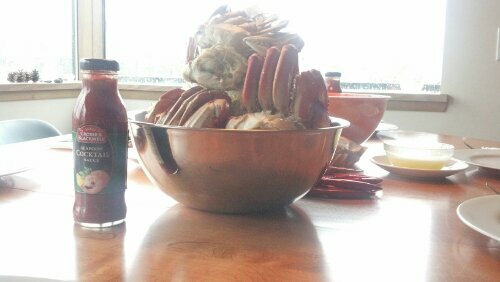 Dungeness crab is the traditional Christmas meal at Fry Lodge. Today, we were joined by Katie and Patrick Rossman, for a crab lunch that put us all into food comas. When awake, Henry and Ruby played with their Christmas loot: Legos, Playmobile, basketball hoop, hello kitty stuff, art supplies, etc. It has been another wonderful Christmas. Peace to all the Fry Lodge Faithful. From Bing Crosby to Kanye. 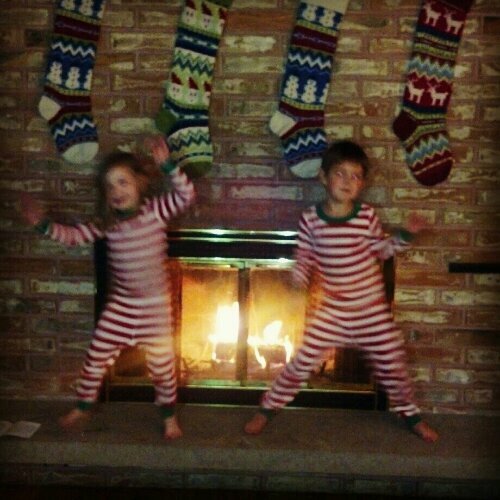 Gettin’ down on Christmas Eve at Fry Lodge. I’m Santa an’ I know it. 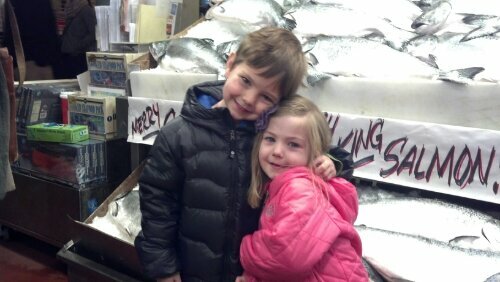 The Fry Family Quartet spent Christmas Eve morning at the Pike Place Market, preparing for this evening’s feast with the Rossmans. 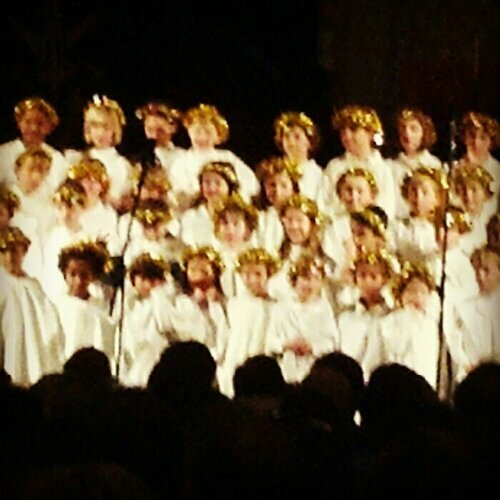 This is Henry’s St. Joseph kindergarten class at Thursday night’s Christmas program. Can you spot Henry?